Additional race information can be found at http://www.10konthebay.org. 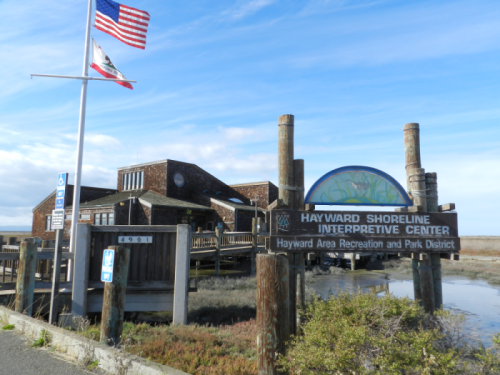 Perched on stilts above a salt marsh, the Hayward Shoreline Interpretive Center is your introduction to the ecology of the San Francisco Bay-Estuary. The Interpretive Center features exhibits, programs an activities designed to inspire a sense of appreciation, respect an stewardship for the Bay, its inhabitants and the services they provide. After getting an overview of the park and its features, join a naturalist on one of the many weekend interpretive programs offered. Take Highway 92 West toward the San Mateo Bridge. Exit on Clawiter Rd./Eden Landing Rd. Turn left at the first street to stay on Breakwater Ave.
Take Highway 92 East across the San Mateo Bridge. Turn left at the stop sign onto Clawiter Rd. Turn left at the stop light onto Breakwater Ave.